The precise grilling and ease of use that comes from a Fire Magic grill is combined with quality features in the Choice C540i Built-In Gas Grill. The three 14 gauge stainless steel tubular burners, producing 60,000 BTUs, are matched with push-to-light knobs and a 9 volt electronic ignition for a grill that is easy to start. The durable stainless steel cooking grid and warming rack provide a total of 768 square inches of cooking area, perfect for a medium-sized family. Unique 16-gauge stainless steel flavor grids protect your burners from liquids dripping through the cooking grid. Cleaning the grill is easy with the disposable drip pan collection system designed to prevent grease pan flare-ups. A satin-finish face plate, seamless hood, 304 stainless steel, grid lifter and a Built-In analog thermometer round out the the final touches on this quality grill. Fire Magic provides a lifetime warranty for stainless steel burners, stainless steel cooking grids, and stainless steel housings, stainless flame tamers are warranted for five years, fifteen years for brass valves and manifold assemblies. All other components are warranted for three years from the date of purchase. Ignition systems (except batteries) are warranted for one year. A limited two year labor warranty covers repairs up to $120. In a multi-user setting (excluding commercial use) this grill is warranted to be free from defects in material and workmanship for the stainless grill housing, burners, cooking grates, brass valves, inner lines and manifold assemblies for three years, all other components (except batteries) are warranted for one year. This grill is really well made. We replaced our 30 year old Fire Magic with another for that reason. The hood is sturdy and smoothly opens and closes. The hood thermometer is a nice addition. We love (and our contractor did also) that the hood opens up into itself so no extra depth space is needed when it is built in. The knobs work smoothly and are easy to clean. The electric starter works on all 3 burners individually so it doesn't matter which burner is being used or is lit first. The low setting goes low enough to safely grill things like vegetables or pizza without burning. The only negative is that there are some hot spots but I have found all grills have that. Overall it grills evenly. It is easy to learn where to move food around to. And, it looks REALLY nice! The Fire Magic Choice gas grill is a great value, considering it’s made with quality stainless steel and powerful burners. Fire Magic produces some of the finest grills money can buy, and this grill is a great example of their craftsmanship. The 304 grade stainless steel hood is double lined with beautiful polished edges and looks really sharp. The Choice comes with “u-shaped” stainless steel tube burners. Like all other Fire Magic grills, these burners create different heat zones across the grilling surface. The burners have versatile cooking performance, working equally well at high and low temperatures. Underneath the stainless cooking grids are the stainless steel flavor grids, made of 16-gauge stainless steel with perforations that help protect the burners and reduce flare-ups. Fire Magic also delivers with a great warranty. The stainless cooking grids and housing has a lifetime warranty. Meanwhile, the burners have a 20 year warranty, and other components vary in length. The bottom line is Fire Magic is a reputable company that builds quality products, and our customers who buy Fire Magic report very few problems back to us. The fact that these Choice grills are actually backed by a strong multi-user warranty, and that you can get them built-in or on a post, make them an excellent choice for these installations. The multi-user warranty is 5 years on housing, burners, grates, valves, inner liner, manifold and 1 year on all other components. The grill is designed with heat zones, which provide a hot zone across the back, while the front corner zones are slightly cooler. 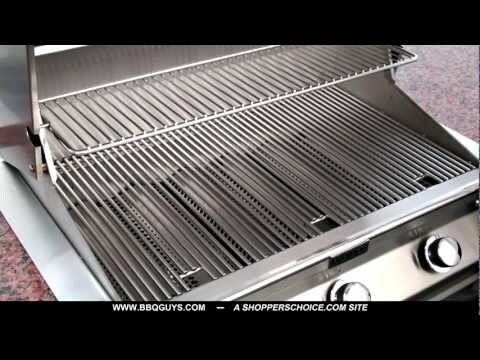 This is something to consider if you are looking for a grill with an even heat cooking surface, however, some customers like this feature and use it to shift food around on the grill. This grill is basic and as such, it lacks many of the extra features found on similarly priced grills. 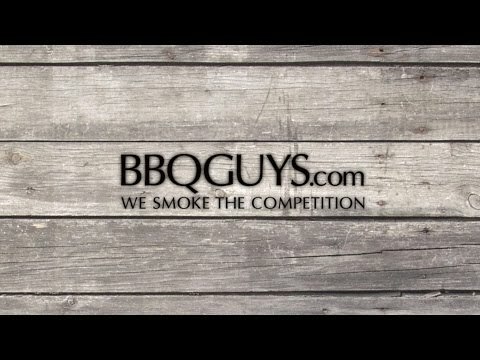 If you want a basic, all stainless, American made grill with a good warranty made by a great company. 30 X 18" 30 13/16 X 19 15/16" 31 1/2 X 19 1/2" 29 1/2 X 17 7/8"
32" 32 1/4" 42" 30 5/8"
19 1/2" 23 5/8" 24 5/16" 21 1/4"
12" 10 1/2" 36" 8 1/2"